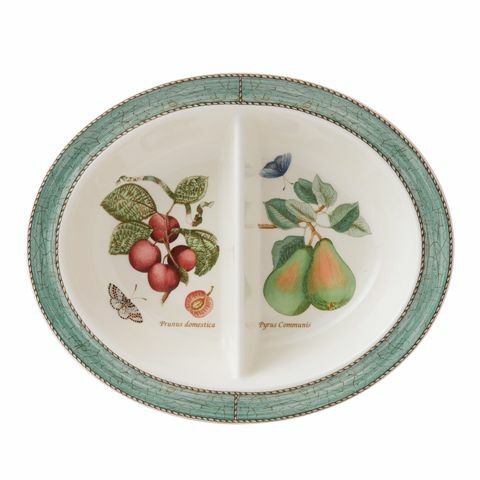 This Green Oval Divided Dish is rendered in simple, elegant earthenware and features a subtle pastel borders and lovingly hand-rendered botanical motifs. Wedgwood Sarah's Garden Green Oval Divided Dish - The English Country Garden is an image ingrained in the British identity, and serves as inspiration for Sarah's Garden. This whimsical dinnerware pattern is characterized by motifs and borders in delicate pastel shades, reminiscent of floral herbs like lavender and thyme.